Posted on September 26, 2016 at 10:20 am. 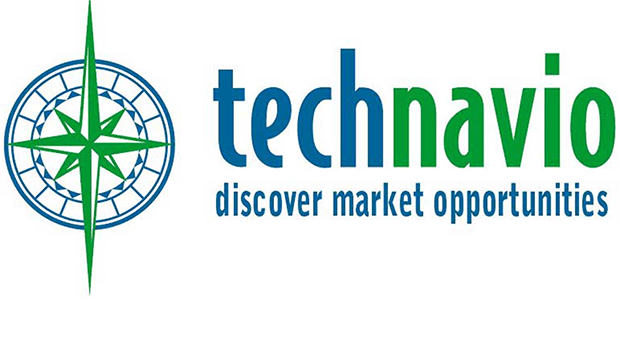 LEADING market research company Technavio has predicted that the online gambling market in the United States will exceed $4 billion by the year 2020. The estimates form a part of the company’s research covering the present scenario and the growth prospects of the online gambling market from 2016 until 2020. According to the report, analysts forecast that the market will grow at a massive compound annual growth rate (CAGR) of 51 per cent during that period. In order to calculate the market size, Technavio considered the revenue generated from legal online casinos, betting and lottery segments across America. The report also discusses the primary market growth drivers and the difficulties faced by vendors and the online gambling market as a whole to provide an overview of the key trends emerging in the market. The findings were interesting considering the US has some of the strictest laws in the world regulating gambling, despite the fact popular gaming hotspots such as Las Vegas and Atlantic City are synonymous with gambling. Globally, the online gambling market is also set to grow over the projected period, with lead analyst from Technavio, Ujjwai Doshi, outlining some of the current major trends. “Online betting and online casino, together, accounted for 70% of the revenue generated from the online gambling market,” he said. “Online gambling is a huge success among the public because of the wide range of games it offers and the convenience of playing without any location-constraints. Overall, the global online gambling market is expected to reach more than US$60 billion by 2020. One of the major factors believed to have contributed to the projected growth is the increase in popularity of gambling apps and social gaming. Interesting trends to have come out of the research include the growing number of online women gamblers. In 2015, female gamblers accounted for 40 per cent of the online bettors in the US and 49 per cent in the UK. The studies showed that women preferred to do their gambling in private, on their own devices to ensure they could play with confidence and avoid intimidation from male bettors. Also noted was that women under 35 were far more active in the world of online gambling in 2015 than those over the age of 35. Another aspect of the report highlighted the biggest challenge of the online gambling market is its struggle with the legal restrictions of different countries. Despite several countries permitting land-based casinos, many such as South Korea, Japan, Norway and Portugal are very strict when it comes to online gaming, however it cannot be fully banned as users are able to access foreign websites through the use of a proxy server and gamble with ease with international credit and debit cards. Raging Bull Casino is our #1 recommended offshore online casino site for players from United States, holding trustworthy licensing and hosting hundreds of real money slots and table games playable on desktop and mobile at the tip of your fingers.